This entry was posted on Wednesday, March 16th, 2011 at 3:03 am and is filed under 1980s, 1990s, a view to kill, film posters, first blood, france, hong kong, jackie chan, james bond, james cameron, john woo, just heroes, luc besson, nikita, police story 2, rambo, thailand, the terminator. You can follow any responses to this entry through the RSS 2.0 feed. You can leave a response, or trackback from your own site. 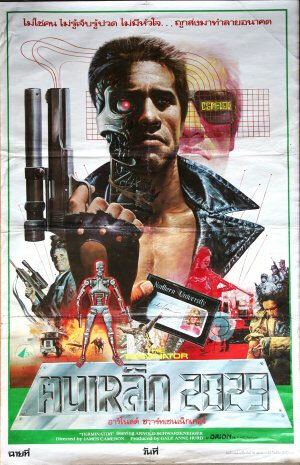 Love the Nikita, Just heroes and Terminator ones, I guess like most things it came down to cost, as more recent Thai posters seem to be cheaper photoshop jobs. I have the Thai Bullet in the head poster and its gorgeous. Always looking to see cool posters! Yes! The Bullet in the Head one was another I was going to post. I have a theory the american poster for the Killer is based off the Thai poster as they have a really similar art style. It even looks cropped with it’s grey outline. Has anyone you seen the Thai version if it exists? 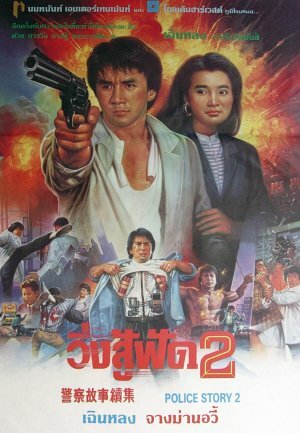 It does have that kind of look, you’re right, but no I’ve never seen a Thai Killer poster. Do you have any of the posters yourself? Not too many. I have the English film poster for Korean monster film The Host and a small framed poster on the wall for the old horror film Eyes Without a Face. Living in a small apartment only holds so much space for DVDs, and that’s where most of my free cash goes too. I am curious about picking one of these thai ones up. If not, the American The Killer poster. Reprint or not! 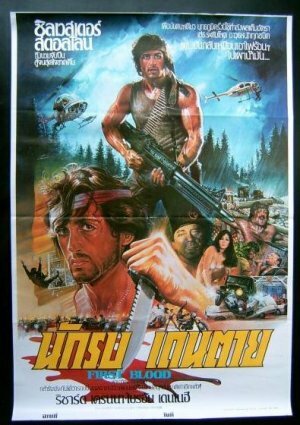 They’re pretty cool, but they don’t quite compare to the ridiculousness of Polish movie posters. Anways, it owuld be interesting to find out if a lot of these posters were done by the same guy. 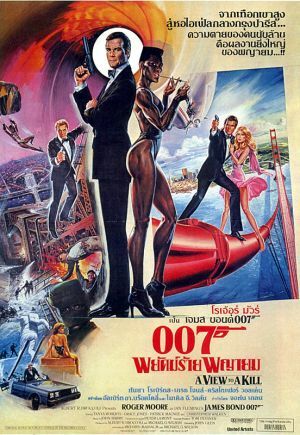 After all, a lot of the well done painted American movie posters were done by that Drew Struzan guy. I like these a bit more than the Polish ones as they still suggest the movie mildly. 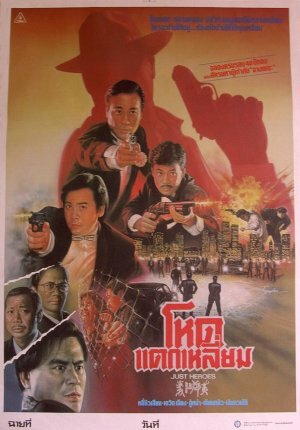 According to this post (http://www.bangkokrecorder.com/thai-movie-posters-same-same-but-different) they are not done by the same person. Iam looking for a while now for a high resolution file of the James Bond ‘Thunderball’ scene in the casino..but I cant find it one the web! I know someone who works with professional printers and I’d like him to make a print. Anyone suggestions?